Very Good. Trade paperback (US). Glued binding. 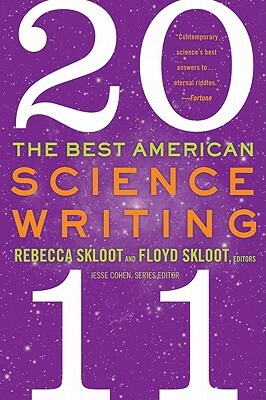 327 p. Best American Science Writing. Covers the full spectrum of scientific inquiry-from biochemistry, physics, and astronomy, to genetics, evolutionary theory, and cognition. This title features articles from a variety of publications, providing an overview of the year's some of the compelling, and relevant scientific developments. Good. Trade paperback (US). Glued binding. 327 p. Best American Science Writing. Covers the full spectrum of scientific inquiry-from biochemistry, physics, and astronomy, to genetics, evolutionary theory, and cognition. This title features articles from a variety of publications, providing an overview of the year's some of the compelling, and relevant scientific developments.